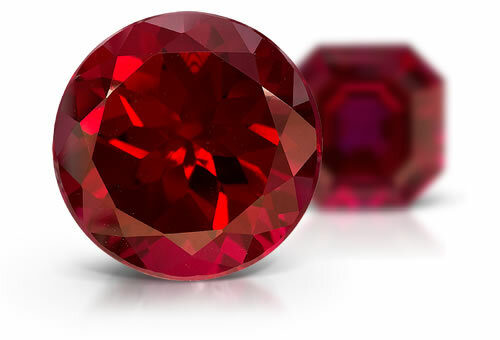 Flame fusion ruby might show poor polish and they are typically cut to calibrated sizes and with be symmetrical. Stones may display face up pleochroism, curved striae that crosses facet junctions and strings of gas bubbles that might be mistaken for needles. It might be possible to see Plato lines or twinning planes under magnification and immersion with polarized light. Sometimes heated with borax to created fingerprint like inclusions to mask curved striae.